The services at Naturally Well Family Medicine include Naturopathy, Accupuncture, Massage Therapy, Psychotherapy, and Holistic Health Coaching. Naturally Well is more than a doctor's office, it is a leading center of holistic care in Fairfield County. 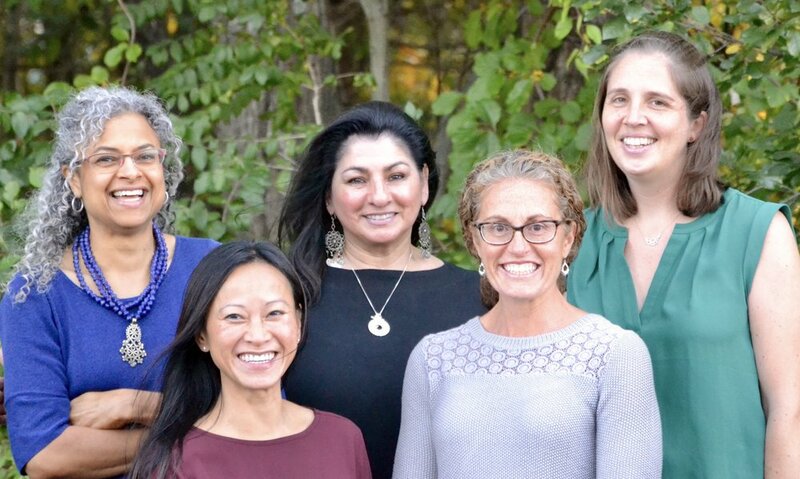 Dr. Deb Bossio has brought together talented professionals from various disciplines to collaborate, share expertise, and grow in the dynamic healing space that is Naturally Well Family Medicine. Dr. Bossio has practiced naturopathic medicine in Connecticut for over 10 years, with focuses in Lyme Disease, digestive health, pediatric and women’s health, allergies, anxiety, depression, and more. Dr. Abby Egginton earned her doctorate in Naturopathic Medicine from Bastyr University and then completed a residency in Naturopathic Oncology at Indiana University Cancer Center followed by a fellowship at Bastyr. She has also completed advanced training in women’s health, homeopathy, and craniosacral therapy and has been trained as a birth doula. She specializes in Oncology, Women’s Health, Pediatrics, LGBT health, and in gut-mood health (aka the microbiome). To schedule an appointment, phone 914-919-9300. Sarah is an Intuitive medical-spiritual healer and Certified practitioner/educator of frequency specific microcurrent -FSM. Sarah takes an integrated approach to adress symptoms and core projects. She sees the body as a whole expression of mind-body-spirit and support the innate healing abilities of the individual, meeting them where they are at. Therapies may include Frequency Specific Micro-current, Cranial Sacral Therapy, Advanced Manual Lymphatic Drainage, Brain integration Therapy, Heart Centered Therapy, Medical Massage, Energetic applications including Jin Shin Jyutsu, Reiki, chakra balancing, Reflexology, PSYCH-K , Higher Brain activation technique, aromatherapy and intuitive seeing. A functional intake is taken and self-care suggestions are made to support your progress.